A practice which began in the previous year continued in 2017 when a group of seven students from Columbia University and two from West Point Military Academy, led by their professor Ms. Victoria Phillips, visited OSA for a whole week. They conducted research and devoted themselves to writing their papers and presentations for the 8th Annual International Student Conference of the Cold War History Research Center at Corvinus University, which was co-organized by CEU’s History Department and the European Institute at Columbia University. Blinken OSA has acquired the document collection of the founder of the Danube Circle. The aim of the environmental movement, which was founded in 1984, was to stop the planned barrage system on the Danube between Gabčíkovo and Nagymaros. Their work was founded on solid scientific research to support their arguments against the investment and community organization, for which the organization was awarded with the alternative Nobel Prize. Based on a collection of 137 forensic reports produced by the Physicians for Human Rights (PHR) during its Forensic Assistance Project in Bosnia and Herzegovina in 1997-1999, Blinken OSA published a map of individual and mass grave exhumations at over 500 sites and sub-sites across the country. The exhibition “Things Fall Apart” features artists, filmmakers and groups from across Africa, Asia, Europe and North America. Drawing on film, photography, propaganda, and public art, the exhibition presents interdisciplinary reflections on African connections to the Soviet Union and related countries. 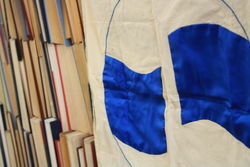 Things Fall Apart is a cooperation between Calvert 22 Foundation, London; Iwalewahaus – Universität Bayreuth; EGEAC – Galerias Municipais and Africa.Cont, Lisbon; and the Vera and Donald Blinken Open Society Archives, Budapest. 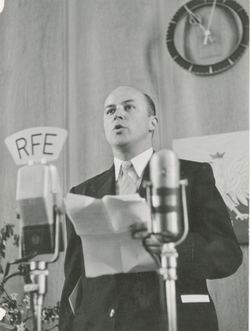 Digital Cold War Collection of Encrypted Telex Messages between the Free Europe Committee and Radio Free Europe were enriched with new materials.Blinken OSA uploaded over 11,000 encrypted telex messages between the Free Europe Committee in New York and Radio Free Europe in Munich, covering the period from 1967 to 1974. 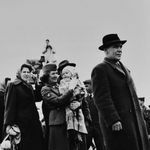 In addition to the more than 23,000 messages (from 1960 to 1966) that were already freely accessible, this new set of messages will considerably enrich an important Cold War collection. 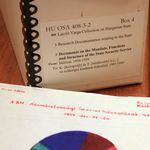 Originally, the collection came from the Hoover Institution Library and Archive, where it had been stored since the early 1990s. It arrived in OSA in 2014, on a total of 101 microfilm reels which were all digitized recently by Blinken OSA. DATE: MAY 10, 2017, AT 6:00 P.M.
VENUE: BLINKEN OSA ARCHIVUM, ARANY JÁNOS UTCA 32. Soviet documentaries of the 1960s responded to changing boundaries of ideological control during the so-called “Thaw” period. 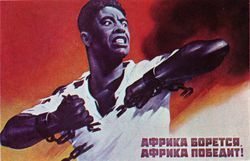 Many of the Soviet filmmakers worked and filmed in various “socialist-friendly” countries in Africa and their footage shows a genuine curiosity about the “otherness” of African reality. My film does not aim at duplicating the official propaganda discourse; my idea is to deepen the poignancy of Soviet newsreels and documentary films by exposing the propaganda clichés and by offering a new way of seeing them by exposing and highlighting their message. 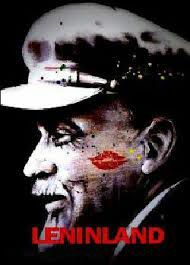 My review offers a fast-paced survey of the entire corpus of Soviet films about Africa in which I identify the most important and frequently recurring themes and motifs. In the process of this research, I trace how Soviet views of Africa evolved over three decades, and later sank into oblivion. On May 2, 2017, Central European University President and Rector Michael Ignatieff and High Representative Valentin Inzko signed an Addendum to the Public Archive Agreement between CEU and the Office of the High Representative (OHR) in Sarajevo, the ad hoc international institution responsible for overseeing the implementation of civilian aspects of the 1995 Dayton Peace Accords. OSA invite applications for 1-3 months unpaid internship positions, May-July 2017. The intern will be working at OSA (Arany János u. 32, 1051, Budapest, Hungary). Working hours are flexible. OSA is a part of the Central European University. Photographs placed in a cinematic context create a filmic experience. In photofilms, the film medium is dissected into its components. Photofilm authors experiment with the relationship of text, sound and image, reflecting on the composition of the cinematographic. They let us “think” cinema. If a film image stops, the illusion of movement is shattered in that moment and irritation arises, we are invited to contemplate, interpret the image as a concept, participate in the author's study of images, and to be inspired by the imaginary extensions of meaning. Photofilms demand active, thinking viewers. 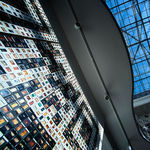 Having photographs placed next to each other in a sequence provokes the viewer to search for connections and interpretations. Inspired by Roland Barthes' “The Third Meaning” it may be said that the future of the filmic is not strictly in movement, but rather in a third meaning, a framework for the unfolding of permutations that make a new theory of the photogram conceivable. A 'food for thought' selection from the 13th Verzio International Human Rights Documentary Film Festival's repertoire. The film was screened in the International Panorama section at 13th Verzio Film Festival. In 2008, the Chinese government decided to invest 586 billion USD on infrastructure in an effort to stimulate the economy. 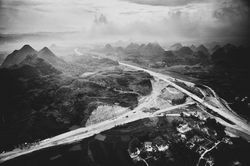 Filmmaker Zhang Zanbo got unprecedented access to the implementation of the financial plan and for three years he filmed the making of a section of a highway through a quiet village in Hunan, the province where Chairman Mao was born. The film follows local villagers and peasants that are forced to move due to land acquisition. The management of the construction company want their share of the financial apple. As a consequence corruption and violence has become a common part of the making of the road. Nevertheless, the Xu-Huai Highway was opened with great fanfare in 2013. 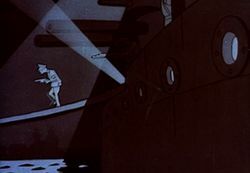 The first screening in a 2-part program of Soviet propaganda animation offers an insight into the ways of creatively packaging Bolshevik ideology, implemented with a variety of animation techniques. The work of early Soviet visual artists demonstrates how irony, satire, grotesque, caricature, and a streamlined language of political propaganda are put to the service of the new regime, ridiculing and threatening the world bourgeoisie, claiming the moral superiority over capitalism, mocking the vices of the imperial past, and envisioning a bright internationalist and interplanetary future. Nikolai Khodataev, Ivan Ivanov-Vano, Yuri Merkulov, Zenon Kimissarenko, Dziga Vertov, and others are among the pioneers of political animation, which foregrounded rather than masked its agitational message. Free admission Limited seats are available on a first come first served basis. Vera and Donald Blinken Open Society Archives I 1051 Budapest, Arany János utca 32. The film received Special Mention in the ZOOM IN Student Film Competition at 13th Verzio Film Festival. Devki finds herself in a continuous conflict between her wish to be emancipated and the deeply rooted traditions of Indian society. Her biggest wish is to become a taxi driver. She would like to ensure that other women reach home safely and would like to be financially independent. On the road to achieving her goal, she must withstand the opposition of her father, then her husband and in the end her father-in-law. Her daily routine is defined by the constant battle to defend her aspirations and attempting to pave a way for her to achieve her dreams without alienating her family. A camera is a dangerous weapon. When it appears in the vicinity of a guarded object or a building, even in a public space, all rational arguments become useless as it is straightforwardly understood as a plausible threat. Yet, no one really knows what's going on. The filmmaker attempts to film embassies in Lisbon from the streets, provoking a range of reactions – mild to aggressive – from the security guards. 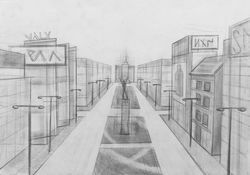 The simple and straightforward idea for the film brings out an effective message, making the idea of boundaries in public spaces palpably visible. A program célja: A Blinken OSA Archívum A szocialista művészet jelképei című kiállításához kapcsolódó kreatív diákprogramot szervez, melynek célja a szocializmus jelképeinek feltérképezése, politikai és művészeti alkalmazásuknak a megismerése, valamint annak vizsgálata, hogy mit jelentenek e szimbólumok az új generációk számára. 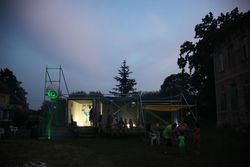 A workshop kitűnő lehetőség a diákok történelmi és művészeti ismereteinek gazdagítására. A limitált létszám miatt korai jelentkezés javasolt! Regisztráció érkezési sorrendben. Kérjük, pontosan adják meg az iskola nevét, a létszámot, a kiválasztott időpontot és a tanár elérhetőségét (telefonszám). Helyszín: OSA Archívum, 1051 Budapest, Arany János utca 32. The “sickle and hammer”, or the “red star” are still well-known Communist symbols, but how can we read other images, like “Sun”, or “book” in the context of Communist imagery? 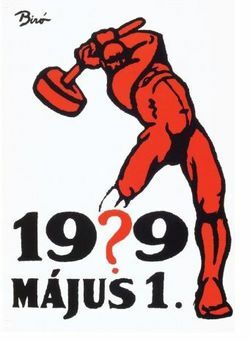 In 1974, art historian Nóra Aradi, the omnipotent guardian of Socialist Realism in Hungary, published a book entitled The Symbols of Socialist Art. Her aim was to collect the different meanings and usages of the symbols and icons of “Socialist Art”, thus providing a useful handbook both to the artists and to the audience. Her visual dictionary is a unique document of Socialist and Communist imagery that, a quarter century after the fall of Communism, may also serve as a visual aid, a tool in translating the past to newer generations who were born after 1989. This communist Iconologia, similar to Cesare Ripa’s path-breaking work from the 17th century, goes far beyond a simple visual dictionary: it also preserves the world-view – in the most literal sense – of the era. With the help of contemporary artists from the Central and Eastern European region, the exhibition The Symbols of Socialist Art explores and critically re-evaluates this visual dictionary, while also investigating the role of its author in the making of the art history of the 2nd half of the 20th century in Hungary. PATRIA NOSTRA - Minor Hungarian refugees in 1956 in the French Foreign Legion. Blinken OSA Archivum / Galeria Centralis - 1051 Budapest, Arany János u. 32. There were some 500 teenage Hungarians who fought against the Soviet tanks in 1956, and a few years later joined the French Foreign Legion – only to be sent to fight in the Algerian war. Thus they were involved in two of the most heated conflicts of the Cold War period, and both times they were on „the losing side”. Very little is known about their subsequent fate. After a long search we were lucky enough to locate some survivers in Corsica and Provence. 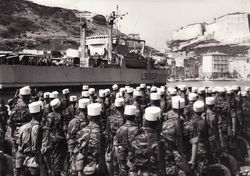 Since most of them were denied re-entry to their homeland – some until as late as 1990 –, they continued to serve in the Legion for 20 or 30 years in such far-away places as Algeria, Corsica, Madagascar, Tahiti, Chad, Djibouti and French Guiana. No wonder that they are still fighting now – at least in their hearts – , feeling obliged to redefine their loyalty to their native land (Hungary) and their host country (France). And of course to the Legion itself, which offered them a sort of ’asylum’ or ’homeland’ for so many years. The motto says it all: ’Légion Patria Nostra’. People are seated on a first-come, first-served basis. Come in time! Vertov’s spatially most ambitious film, A Sixth Part of the World was commissioned by the State Trade monopoly, but turned out to be far more than a mere run-of-the-mill promotion film. 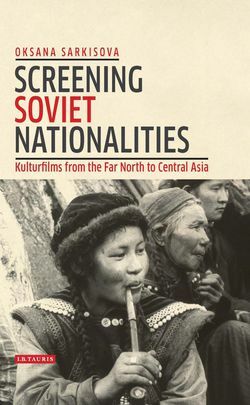 This cine-race across the Soviet universe stretches eastwards, northwards, and southwards and creates a highly ambiguous image of a “union of borderlands.” The film is both a visual experiment with ways of representing a new form of supra-ethnic unity and a novel form of travelogue. 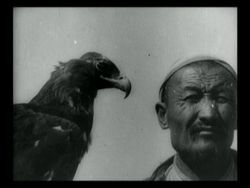 It earned Vertov not only high praise as a “cine-poet” but also vilification as an “exoticism-hunter.” Sixth Part of the World unfolds in six loosely connected parts, each with a different focus. Its pioneering structure and visual language ensured heightened attention to the film at the time of its release – as well as a short distribution life. It was called at once monumental, epic, and a lyrical vision of the Soviet Union. Born into an ethnically mixed family, Lidija Zelović grew up in Sarajevo where she started to work as a TV reporter. In the early 1990s, she fled from the Balkan civil war to the Netherlands but she later returned to report as a TV journalist from her home country. Now she returns on a personal quest to settle an account with the country where she was born. What awaits her twenty years on is a war that is still going on in the minds of the people. With mounting frustration, Zelović is confronted with old hatred and new nationalist aggression – and discovers that her family's role as victims wasn't fully accurate. Directed by Askold Kurov, 52 min. In the USSR, the cult of Lenin had replaced the Orthodox religion that Communists wanted to eliminate. At the end of Soviet era, in the village Gorky, 20 kilometers from Moscow, the last and the most ambitious Museum of Lenin was built. In former days it had 3000 visitors per week, now it’s only 20. Today it looks like a temple of forgotten civilization, a place that has fallen out of time. But faithful to the ideas of Lenin the keepers of the museum remain. They wait for random visitors in the abandoned halls – and for the return of former times. The story of the museum is shown through the two main characters Evgenia and Natalya, the caretakers of the museum. Natalya is 52 years old, a history teacher at the local school, fond of the Communism ideology, she really loves and respects Lenin. She likes the place where she works. 56 years old Evgenia is a scientific researcher. She’s also a hard-core new-age believer; she worships all sorts of gods, and considers Lenin one of the biggest among them. But after 10 years of dedicated work in the museum, she now wants to leave it and continue her spiritual journey in another place. 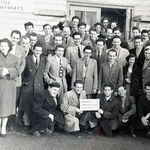 A new photo gallery documenting how Hungarian refugees were treated from their arrival to their eventual resettlement, and another gallery specifically dedicated to honoring the tireless work of processing 1600 Hungarian refugees and obtaining scholarships for 800 of them at one of the 600 American universities participating in the World University Service (WUS) carried out by Gary Filerman and his colleagues in 1957 are now available on our Hungarian Refugees in 1956 website. Call for Applications - Accredited Continuing Education Program for TeachersScopes and Constraints in 20th Century Hungarian History Instructors: Historians András Mink and Krisztián UngváryOrganizer: Blinken OSA Archives / Central European UniversityContinuing education registration number: 27282-153-2016Number of credit hours: 30Course dates: February 11 - April 29The course meets 7 times on Saturdays: February 11, 25; March 11, 25; April 8, 15, 29.Course venue: Blinken OSA Archives, 1051 Budapest, Arany János u. 32.Number of attendees: 20Application requirements:Qualifications: University degree Recommended occupations: High School Teachers, History TeachersParticipation fee: noneDeadline for application: Saturday, February 5, 2017, midnightProgram description: The Hungarian political community is divided partly along apparently irreconcilable narratives and interpretations of its 20th century history.One of the main goals of this training is to offer helpful tools to explore the reasons behind this divide. 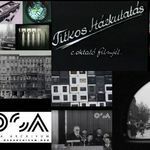 The course focuses on 20th century traumas that generated radically different interpretations in Hungarian historical memory, triggering heated debates throughout the last century, and up to this day.The classes take place at the Blinken OSA Archives. 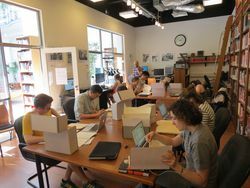 The Archives, founded in 1995, houses an exceptionally rich analog and digital collection pertaining to the history of Communism and the Cold War, as well as European history of human rights and mass human rights violations. Exploring these collections, along with the wide ranging audiovisual sources, offers a unique opportunity to present and analyze the historical questions at hand. After getting acquainted with the source material, teachers will be able to introduce these sources into their own curriculum. 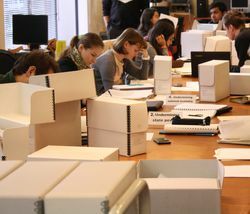 The training ensures the professional exchange of ideas through lectures, panel discussions, source analysis, and the presentation of best practices – and will thus rely significantly on active participation.Submit applications to: kovacsia@ceu.eduDue to the limited space we encourage applicants to submit their applications early / Applications are processed on a first come first served basis. Described by the director as “the first embryonic step towards a totally new form of film expression,” October was and remains a film of multiple challenges. 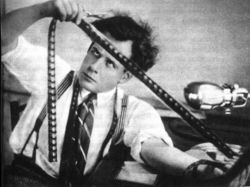 It is the last installment of Eisenstein’s historical-revolutionary film epic, which began with the films Strike (1924) and Battleship Potemkin (1925). After the international success of Battleship Potemkin, Eisenstein was commissioned to create a film celebrating the tenth anniversary of the Bolshevik Revolution. The director used the occasion to experiment with new ways of editing, which he conceived as intellectual montage, as well as to construct a new authoritative account of recent history by presenting a dramatic and dramatized chronicle of the events leading up to and during the October Revolution. While his version of history was ultimately rejected by the commissioning authorities and the film underwent multiple reediting, it remains an important milestone in film history as well as an early lesson in cinematic memory politics. This screening is the first event in the SHOOTING THE REVOLUTION film series that is part of the WHAT’S LEFT program series organized by the Vera and Donald Blinken Open Society Archives, which aims to revisit the complex socialist ideological and visual legacy in the year marked by the centennial of the Bolshevik Revolution.